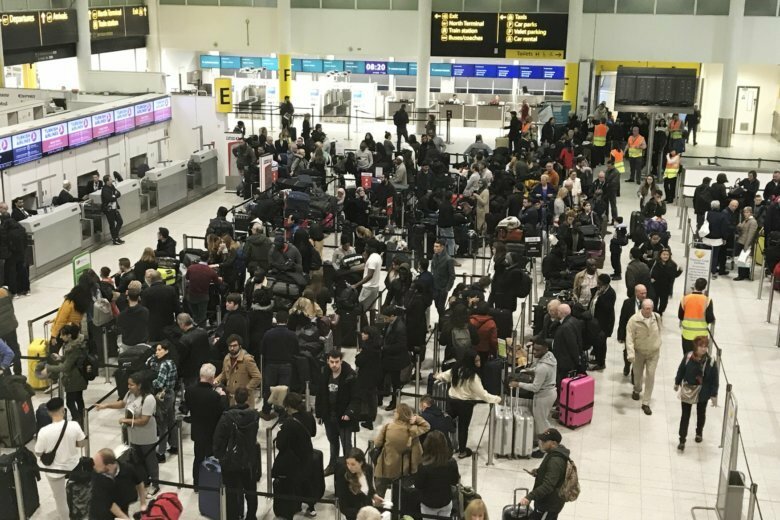 The drone incursion that caused travel chaos for tens of thousands of passengers at London’s Gatwick Airport last December could have been an inside job, according to British police. Gatwick’s Chief Operating Officer Chris Woodroofe told the BBC Panorama program that the drone’s pilot “seemed to be able to see what was happening on the runway,” or was familiar with the airport’s operational procedures. “It was clear that the drone operators had a link into what was going on at the airport,” Woodroofe told Panorama in his first interview since the incident. The perpetrator had “specifically selected” a drone that would fly under the radar of the airport’s DJI Aeroscope detection system, which was being trialed at the time, he added. “There is absolutely nothing that I would do differently when I look back at the incident, because ultimately, my number one priority has to be to maintain the safety of our passengers, and that’s what we did,” Woodroofe said. He also dismissed suggestions that the number of drone sightings was exaggerated. There were at least 130 separate credible drone sightings recorded by a total of 115 people, including eyewitnesses, police officers, security personnel, air traffic control staff and pilots, police told the BBC. Since the attack, Gatwick Airport has invested £5 million on anti-drone equipment, including two sets of the AUDS (Anti-UAV Defense System) system.